Bopup Messenger - Fast and fully managed instant messenger for secure use in business and corporate environments. It offers encryption of private and group collaborations, supports file transfer and offline messaging, provides Active Directory and branding support. Messenger Assist - A useful application if you're calling via Skype or Windows Live Messenger. A simple solution to make instant messaging much more comfortable! Messenger Assist saves both your and partner's time. 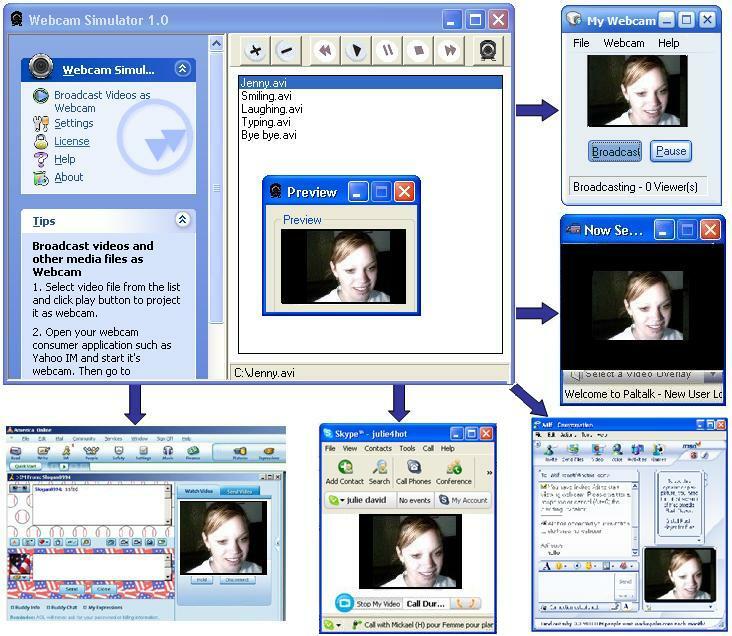 Fake Webcam 7 - Fake webcam 7 installs itself as a webcam on your PC and broadcasts a video. Use it with any application including Yahoo, Skype, Window Live/MSN, Gtalk, Camfrog, AIM. It even works with web apps like Justin.tv, iVideoChat, LiveVideo, UStream.tv etc. RealPopup LAN chat - A network messenger that's feature-rich yet easy-to-use and install and won't cost you a fortune, RealPopup LAN chat offers fast, stable messaging across your local network. No application server required, just install on your PC and start messaging!